Welcome to the Noor! 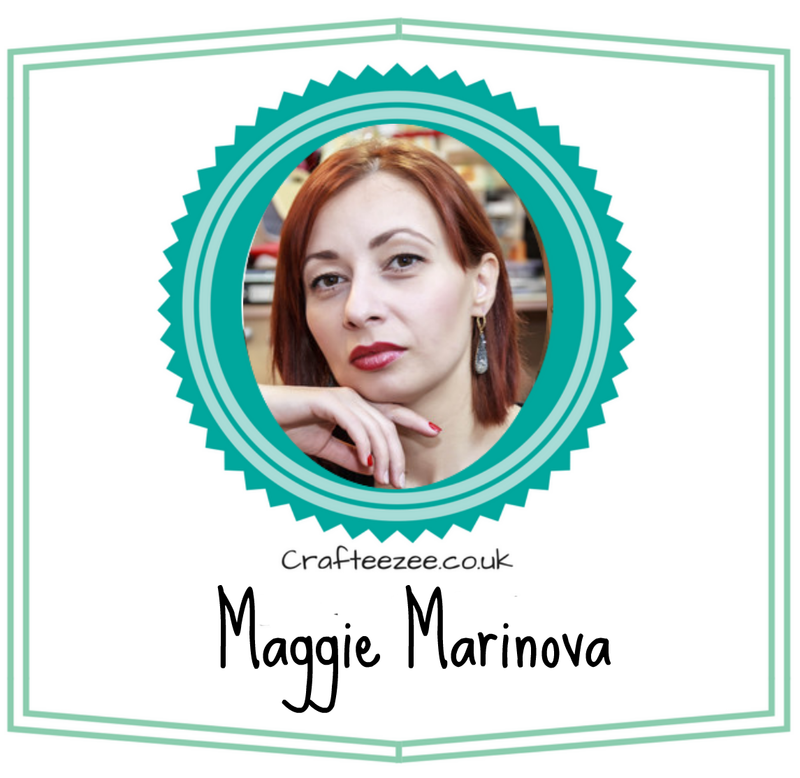 Design UK Blog! Keeley here and today I am here to share my creation with you all. I have used lots or yummy dies, these are just some of my favourites. There are sooooo many to choose from! This is my newest, the Vintage Tea Pot and Cup and Saucer, so cute! 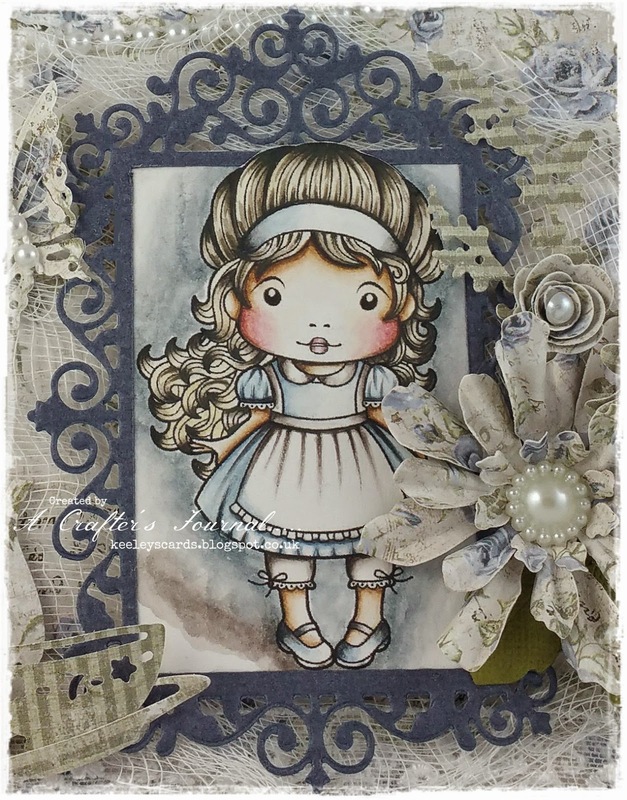 The image is from La La Land Crafts and I have used the out of the box technique, as I made this ornate oblong into a frame. Here's the most beautiful butterfly I have seen, it's so life like. and finally the vintage flourish, tucked behind my handmade flowers. 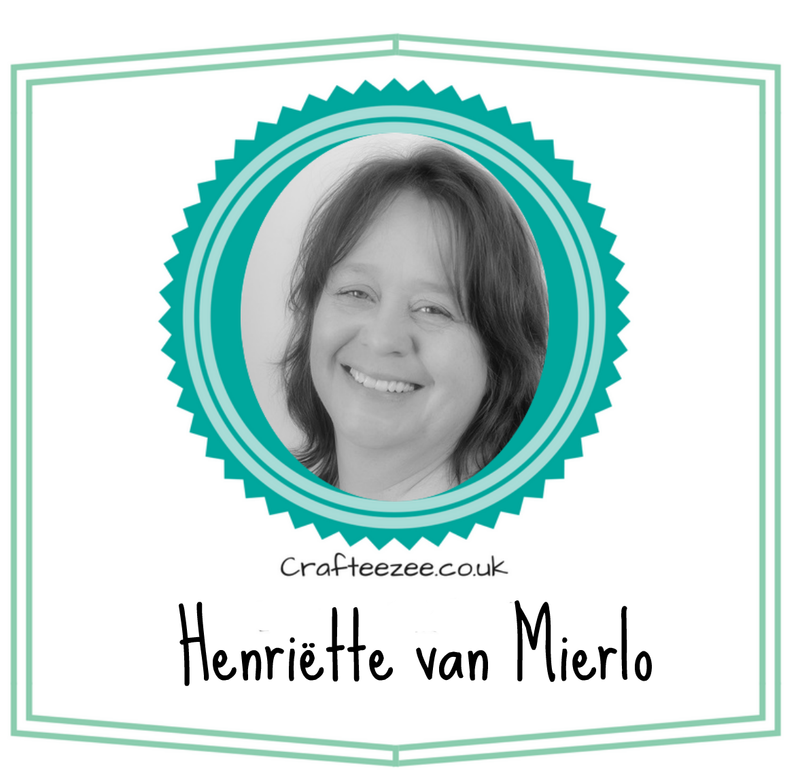 Well thank you for stopping by today I do hope you have enjoyed my creation, and remember do visit our Facebook Page for more Inspiration! 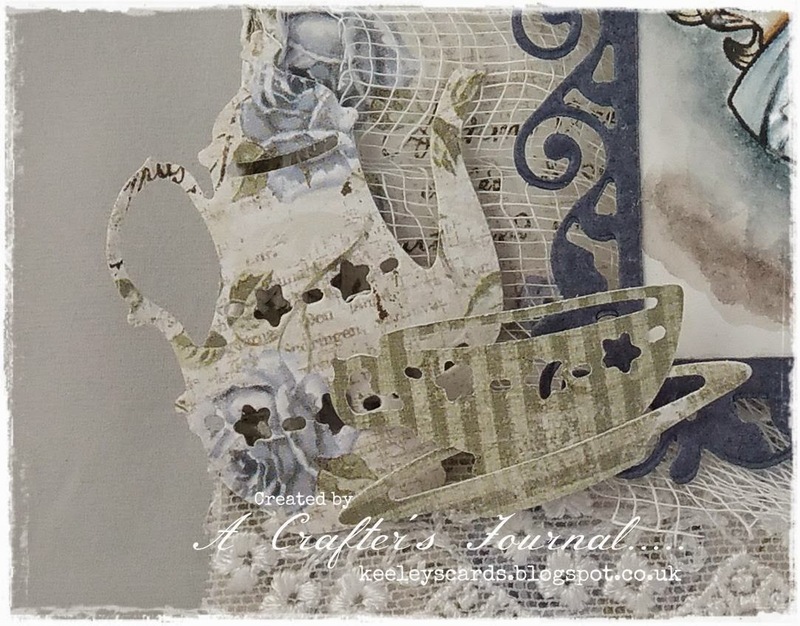 You can find more of my cards by visiting my blog HERE. Don't forget you can still purchase on the Noor Design UK Shop if the stock is at zero and this will be ordered in for you. The Candy will remain open until Monday 27th October. I can't believe it's Sunday already, and still my list is longer than it started on Friday, lol, and I still haven't finished the housework. I think I could do with a cleaner, lol. 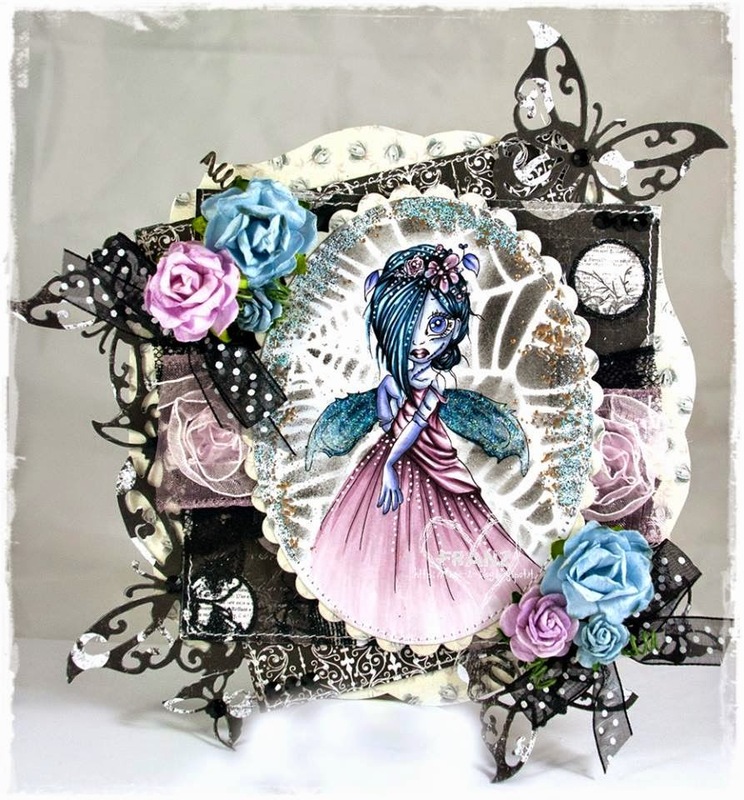 Here's my latest card which I jave made for The Ribbon Girl Magnolia Only with a theme of "Sparkle" Whilst speaking of The Ribbon Girl, you still have until tomorrow to enter the joint candy from The Ribbon Girl and the Noor Design UK stores HERE. 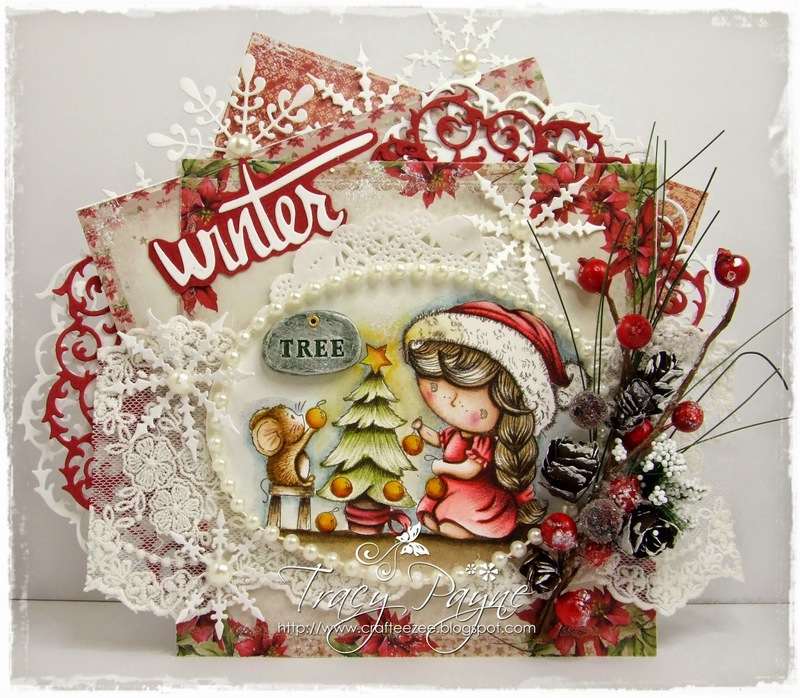 The gorgeous papers called Winter Wonderland are by Noor Design!!! I'm in love with them, and guess what.... they are available in store, yayyyy. I promise I won't be the only one posting on here and in fact we have someone special posting tomorrow, so keep your eyes peeled. I have added lots of sparkle, just difficult to photograph. 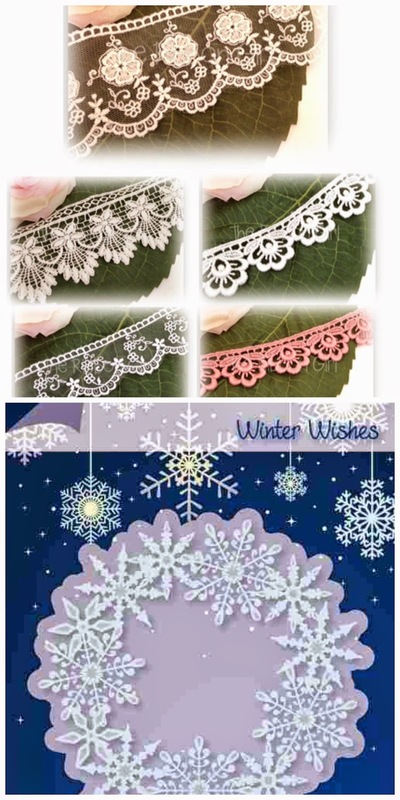 The little tree charm from The Ribbon Girl is sparkly and the snowflake Iceicle Border edges have been covered with diamond dust, so they are very very sparkly too. 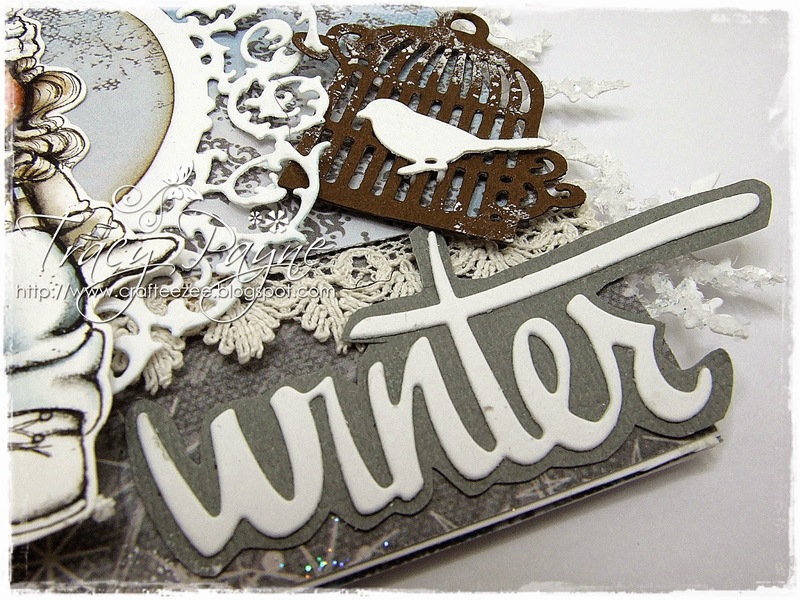 I have added a Noor Design Bird Cage/Bird and added a little snow text to give it a frosty feel. 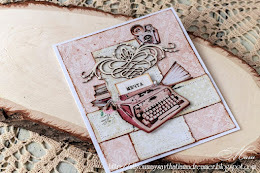 The pretty tag is also a Noor Design Die. Finished off with oval pearl string, twine and seam binding all from The Ribbon Girl. The text word WINTER is this month's latest release, available in store. 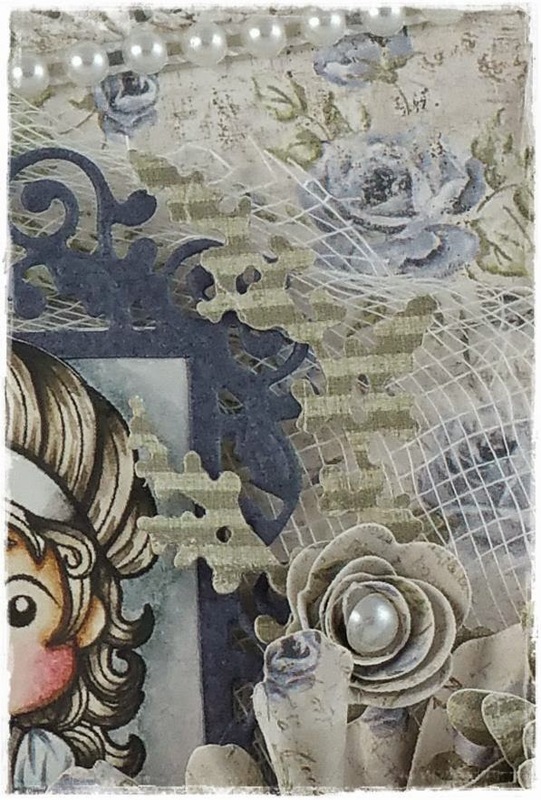 The gorgeous lace peeking through is from The Ribbon Girl. 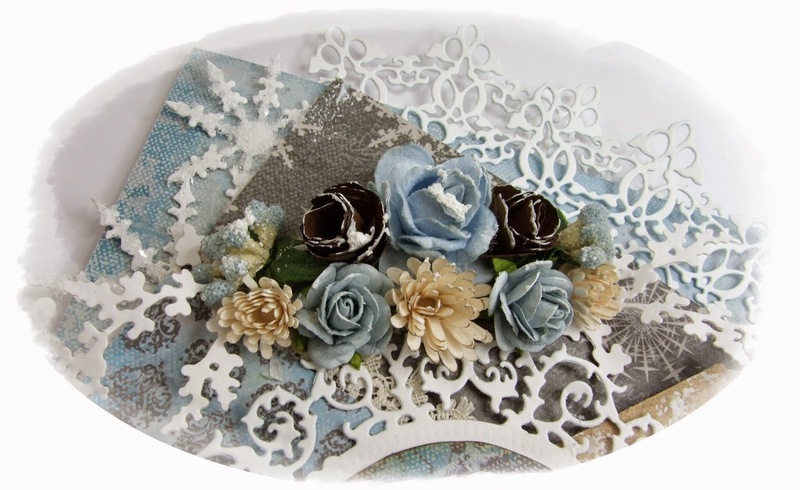 So what do we have at the top here, 30mm and 20mm Blue roses from The Ribbon Girl and the new Noor Design Rolled Roses, except on one of them I have rolled loosely to create pine cones and given a dusting of snow tex available from Live and Love Crafts. 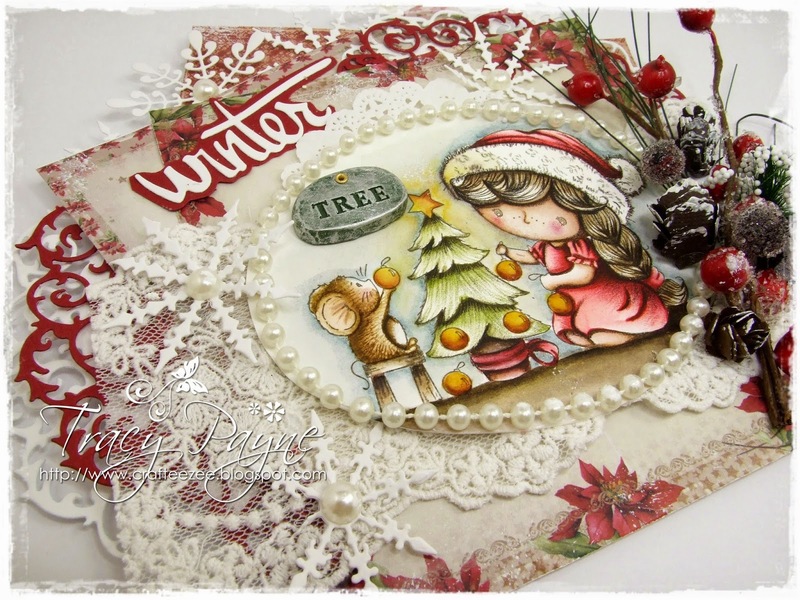 At the very top I have used the Noor Design Snowflake Border Die and I was greedy and used two, hehehhe. 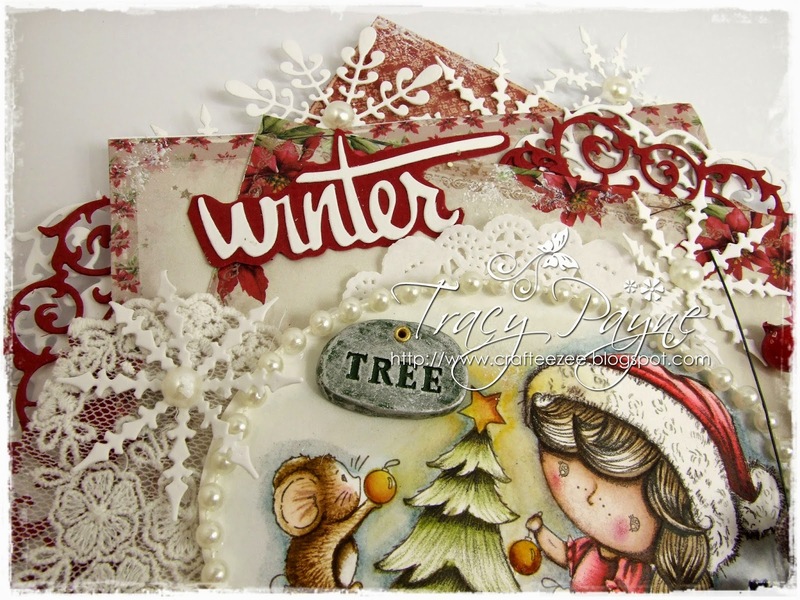 The leaves are also a Vintage Flourish Die. Here's a peek inside. 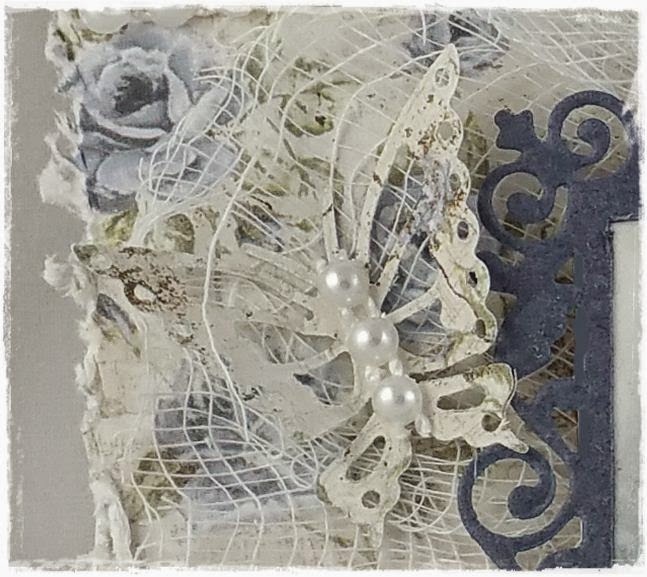 You can clearly see the gorgeous lace and again those beautiful papers, my favourite colours, so yes I would say that. I have also used the new skates die and added Star Dust Stickles to the skates to make them sparkle. I have used the same Noor Design Circle frame on the inside as I did on the front. Love this frame. Can you believe I used 10 dies on here.... ummm now that could be a challenge in the future. What are you all up to today? 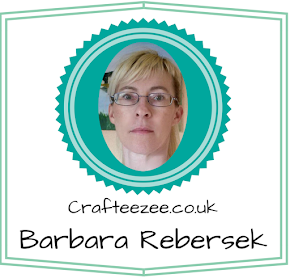 I am meant to be doing the housework but I'm actually crafting.....hubby is sleeping so I can't hoover, right? 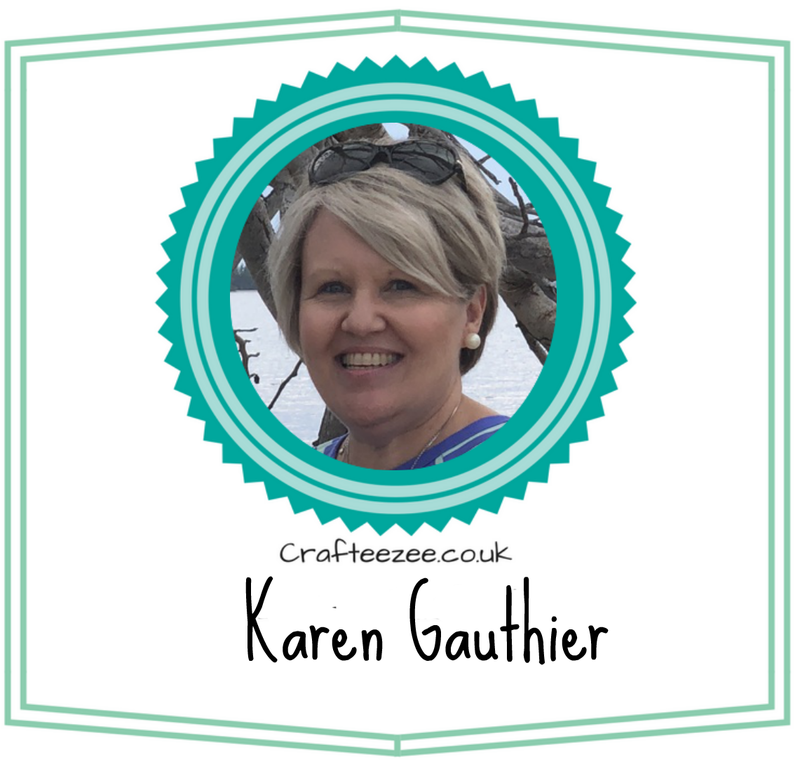 I thought so, so it's best I'm really quiet and tucked away in my craft room. Well as you know the new Noor Design October release has hit the shop so I have had a little play. What do you think? 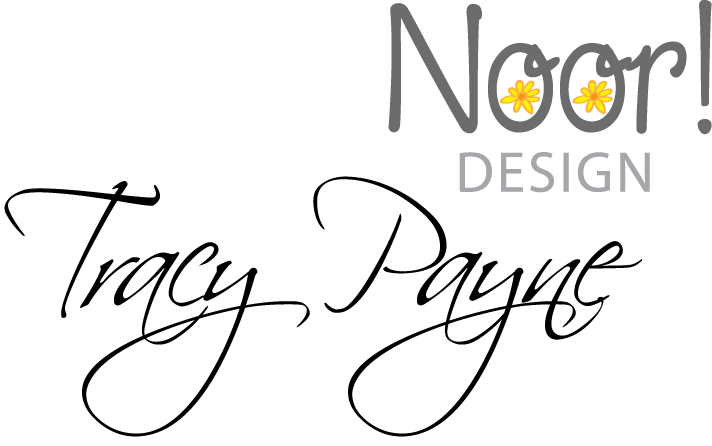 I have used lots of Noor Design Dies, hehehehe, well it would be rude not to. I have used the Oval Frame and cut one in red and one in white. I then cut them in half and positioned two on the left and two on the top right corners, they look like fancy doiles. I have used two of the Ice Crystal Dies No. 's 1 and 2. 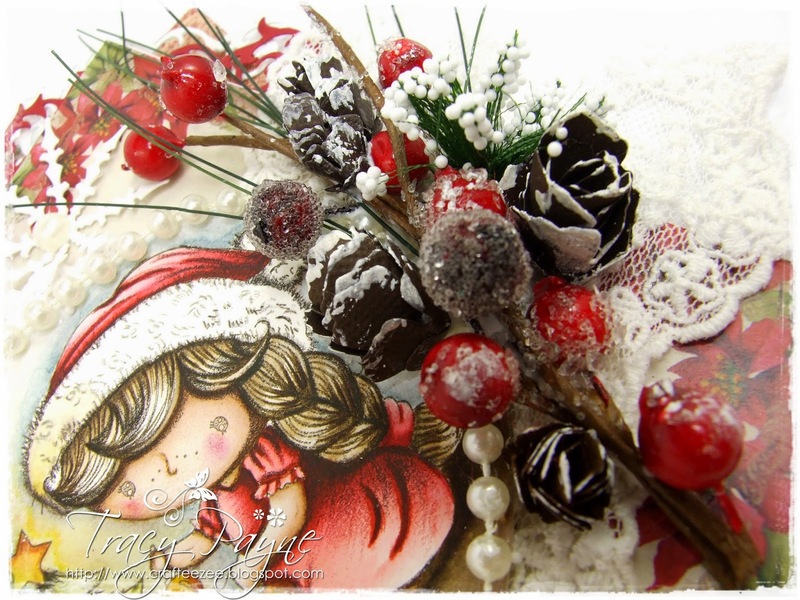 I have used the new Rolled Roses die from the October release but rolled loosely to create pine cones. How great is that, it can be used for roses and pine cones, an all year round die. I have added a little gesso to simulate snow. Doesn't the WINTER word looking crisp and clear, another NEW die to just hit the shop. 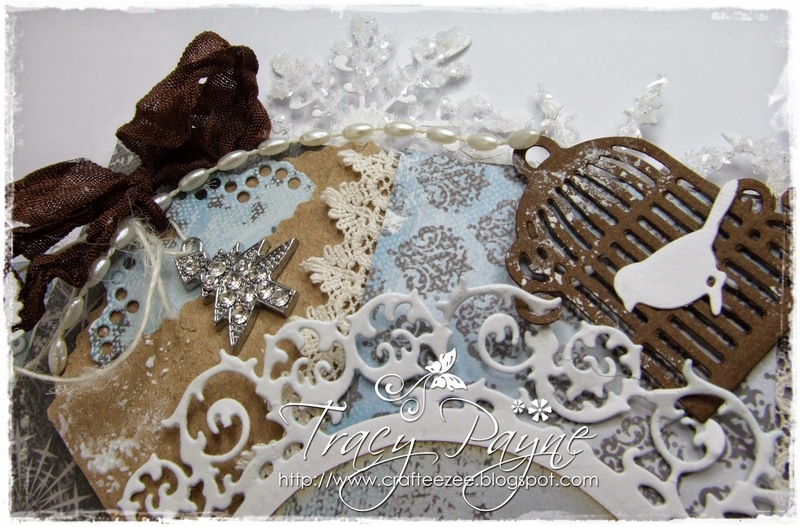 Just across the top I have used my favourite Snowflake Border Die and finished with flat backed pearls in the centres. 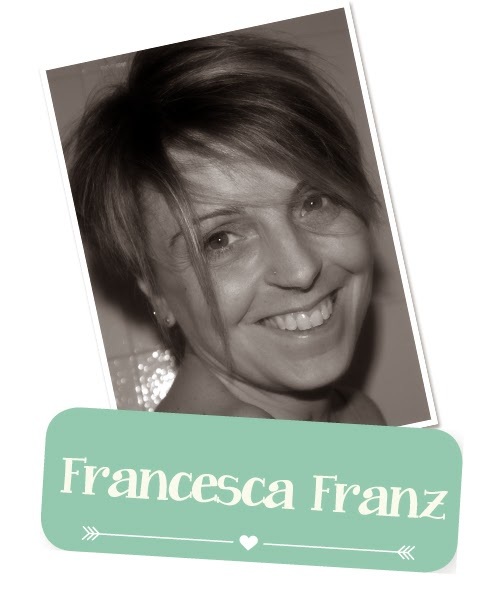 I'm excited to introduce to you today DT Member Francesca Franz. it's is a nickname that I chose when I opened my blog 4 years ago and it's like an alter ego for me. I live in central Italy with my family, my husband Andrea and my two children Nicolo en Camilla. I work in the public administration of my city but my real passion is crafting and I'm particularly addicted to colouring. 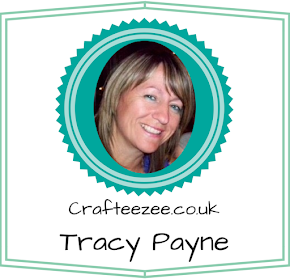 I bought my first crafty goodies in 2010 and since then I have never stopped having lots of fun with them! 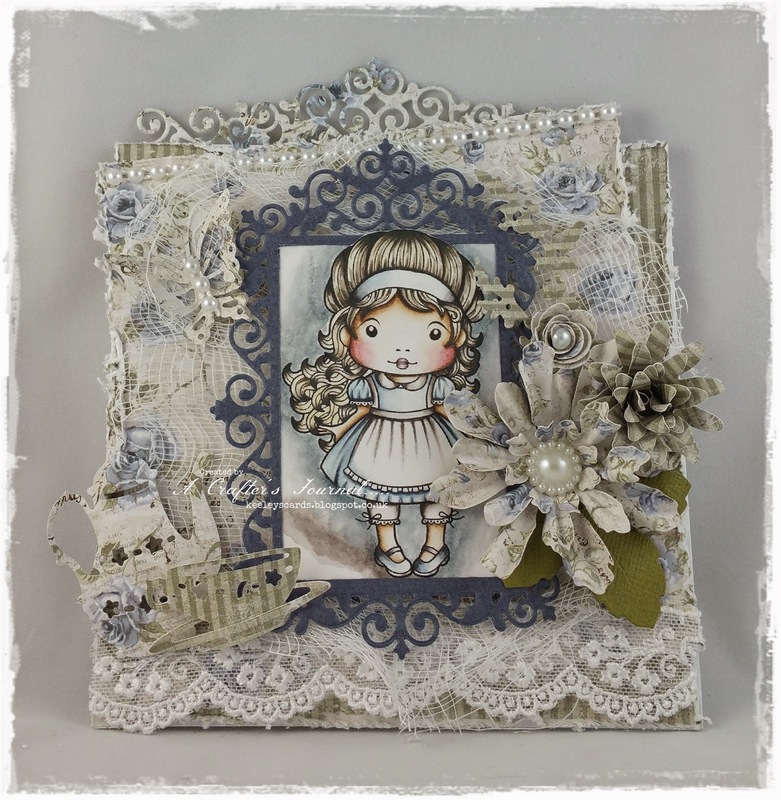 I am sure you will all agree that Franze has made an absolutely stunning card using the Butterfly Border Die and the Vintage Flourishes Butterfly, both links to the Noor! Design U.K. webshop can be found at the end of this post. 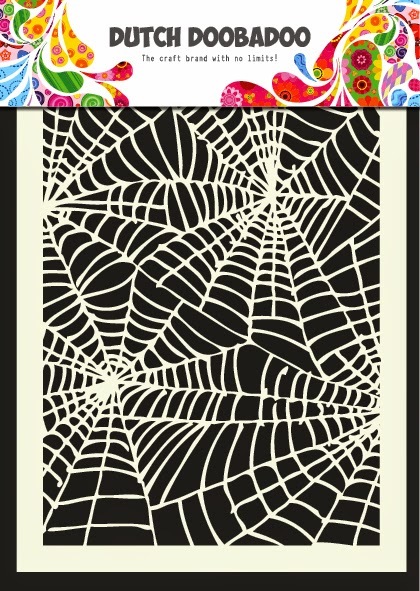 The background on the coloured image is made with a Dutch Mask Art stencil Spiderweb from Dutch Doobadoo. Very soon you can find these productrange in the Noor! Design U.K. webshop too. I'm sure you'd all like to leave Franz some love!